WATER WELL DRILLING – Randolph Well & Pump Co., Inc.
Only quality material is used to install water wells, Gould pumps, and water conditioning equipment. We work for residential, farm, industrial and municipal water supplies. When you use our well drilling service, you’ll receive a water supply that you can count on. We use only the highest quality materials, and we work for residential, farm, industrial, and municipal water supplies. 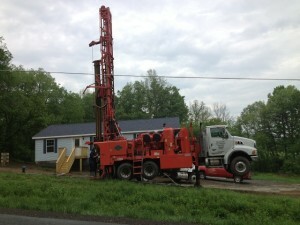 They have New Regulations on Water Well Drilling in New York State. Any water well driller must be registered with the New York State Department of Conservation. This means any contractor/person working on a water well or pump installation/repair must be registered with DEC. Please check to verify they are registered at www.dec.state.ny. Our company works year round; we are fully insured and will give free estimates for wells and pump installations.